In India’s health insurance industry, decisions are based purely on manual judgement by browsing nearly 50-100 page scans of medical documents for correlating more than 50 data points. This causes underwriting and claim processing to be prone to errors, inconsistent judgement, lacks audit-trails and leakage to fraud. This results in two disadvantages. One, due to leakages in underwriting and claims processing, insurance companies typically suffer ~15 per cent underwriting losses compared to the premium collected. Two, this further results in lack of interest in micro-insurance or low-ticket insurance products eliminating customers with lower spending potential completely. Overall health insurance penetration in India currently stands at a meagre 7 per cent of the population and is heavily concentrated around the four metros only. i3 Systems' is solving the above-mentioned issues through its data-centric digital solutions and AI products that enable accurate and automated health insurance underwriting and claims processing. With i3 Systems’ platform 60% of the policy underwriting can be automated and turnaround time for a claim settlement is reduced to 30 minutes from more than 10 days currently. I3 Systems’ first product DataMD automates six steps in the medical underwriting process (medical reports check, data-digitization, medical standardization, medical rules execution, fake-data identification, and straight-through-processing for normal cases) reducing the entire process from five days to one hour. The second product, i3Claim converts all hospitalization documents into digital data and presents it on a special interface to the claim adjudication doctor. It has multiple in-built automations such as identification of missing documents, validation of claim date, isolation of non-payable items etc. i3 Systems has parsed more than 2 million diagnostic reports and has predicted health risk for over 100,000 policies already. In the next 12 months, i3 Systems is working to partner with India's top 20 life and health insurance companies and increase the reach of its products to 1 million policies and 1 million mediclaims. Mallesh is currently the CEO at i3 Systems, leading the product management, sales and organizational growth. He undertakes development of AI Prototypes for new problem statements. He has worked on many key products and consulting assignments as a Scientist at National Aerospace Laboratories – conceptualisation and development of several innovative products like: 3Kg Micro-satellite (Pratham), UAV perching mechanism, 2D floor-plan making system, Water-efficient flushing system etc. 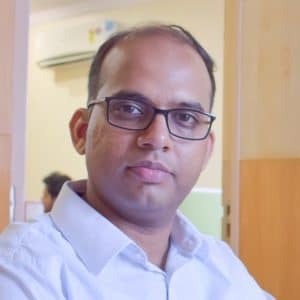 He holds B.Tech and M.Tech degrees from IIT Bombay, subsequently did PhD from De Montfort University UK in application of data science to model complex aircraft dynamics. Varzavand leads finance and operations at i3 Systems, as well as runs the AI product management practice and customer success initiatives. 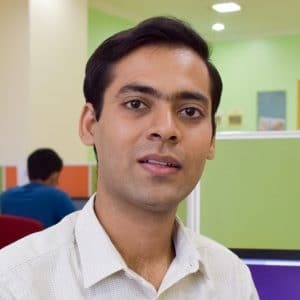 He has deep hands-on knowledge of business strategy, financial planning and market research, from his work experience at Tata Capital and TVS Capital. Varzavand worked with his portfolio companies on initiating Data and digital strategy in otherwise operations centric businesses. He holds B.Tech and M.Tech degrees from IIT Bombay, and has completed CFA L-3. Ravi leads development of ML / AI algorithms and their integration into various product platforms. 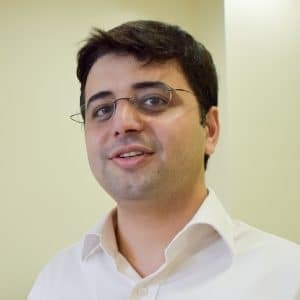 He has built his expertise in Natural Language Processing, Machine Learning and Information Extraction while working on research projects at IIIT Hyderabad and at two AI companies. He has extensive experience in development of AI models dealing with information given as natural language in documents. He holds M.Tech degree in Machine learning and Computational Linguistics from IIIT Hyderabad.